“NOW FAITH CHURCH INTERNATIONAL” born out of Hebrews 10:38—NOW THE JUST SHALL LIVE BY FAITH. We then can conclude that WITHOUT FAITH it is impossible to please Him. 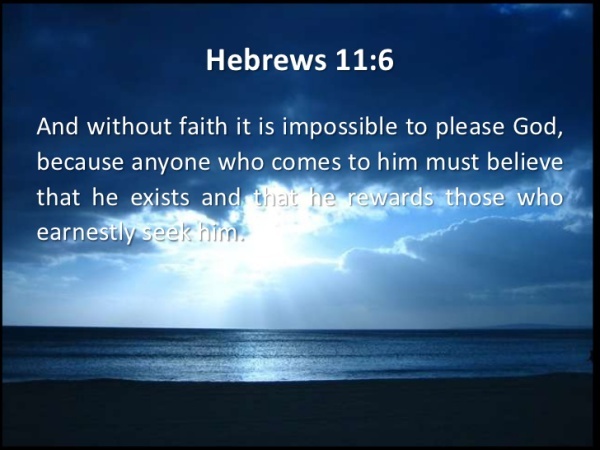 For he that cometh to God must believe that He is, and that He is a rewarder of them that diligently seek Him (Hebrews 11:6). There are many directions that people can be guided or led in, but the most important thing is for them to be led into the place, which God has ordained for them. When people are directed to the scripture and taught what the scripture says, their lives will be impacted in a positive and supernatural way. This is not a denomination, but a group of organized believers who practice Kingdom Principles based on the Gospel of the Kingdom. The Church of the Lord Jesus Christ began on the Day of Pentecost. We believe in the Pentecostal experience; Acts 2:1-4. We believe in repentance and baptism by immersion according to Acts 2:38. We believe in Anointing with oil, laying hands on the sick so that they will recover according to James 5:13-15. We believe in the virgin birth of Jesus Christ, His death on the cross, His resurrection from the dead, His reigning at the right hand of Power, and His second coming. We believe that the Church is one body and should not be divided by traditions or philosophies. We are endeavoring to develop peoples lives through empowering God’s disciples through teaching the uncompromised word of God apart from the tradition of men, which has made the word of God non-effect. People are precious and should be made aware of this truth. There are no failures in God. Jesus said, “I have come that you might have life and life more abundantly” (John 10:10). Our consuming mission is to win the lost to Christ and develop believers to their fullest potential through the revelation of Jesus Christ our Lord. “NOW THE JUST SHALL LIVE BY FAITH”.